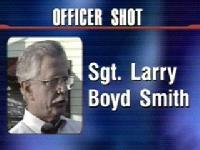 In 2003, Sgt.Larry Boyd Smith, 61, shot and killed himself while working alone in his cubicle at the Houston Police Department where he had worked for 28 years. He had been taking Celexa. Toxicology results found Citalopram present in his blood, liver and stomach when he killed himself. Retired HPD Capt. Bobby Adams, said he recalls Smith as someone who “always had a smile on his face,” adding that he saw Smith as recently as last week at a retirement party for several homicide detectives, and that Smith was in a good mood.A longtime homicide investigator, Detective Smith distinguished himself by working cases long after other detectives might have given up. Ironically, detective Smith was one of the detectives who interviewed Andrea Yates after she confessed to drowning her five children in June 2001. Former nurse Ms. Yates, was also under the influence of antidepressants at the time of the killings! Her now ex-husband Russell Yates, has always stood by her and has publicly blamed their tragedy on her medical treatment. 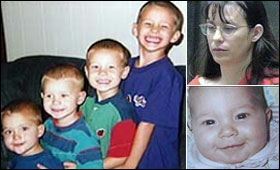 During a two-year period, Andrea Yates was prescribed 4 mind-altering drugs for severe depression that began after the birth of her fourth child, Haldol, Effexor, Wellbutrin, and Remeron. While information about the Remeron dosage was not made public, Yates’ husband has said that his wife was given Effexor at a dosage nearly twice the recommended maximum limit. Just days before the murders, the Effexor was for some reason reduced to just slightly more than the recommended maximum dosage of 225 mg per day and the Remeron was added. She was sentenced to life in prison which was later overturned, she was subsequently found not guilty by reason of Insanity and is currently living in the Kerrville State hospital.The doctor who prescribed this medication is not in prison either! Previous postWhy is America’s NIMH testing Zoloft and Citalopram on 7 year olds? Next postIrishman (62) hanged himself after 5 days on Lexapro.